In NY there are a multitude of real estate brokerages for agents and clients to choose. For both agents and clients, there are many factors to consider. Most companies emphasize what they can do for the agent, but less so what they can allow you to do for the client. TOWN is different. Everything at TOWN is focused on making the clients’ and agents’ experiences pleasurable. Care extends to both the agent AND the client. There are more well-known firms than the relatively new TOWN. But Only TOWN has all of the qualities I believe are necessary when evaluating brokerages which elevates it over other Manhattan brokers for me and for the buyers, landlords, renters, investors and sellers that I service. Many real estate brokerages are led by very successful sales agents, but lack the well-rounded experience, management skills, deep industry connections and resources that can benefit buyers, sellers, renters, landlords, investors and agents. TOWN is led by Andrew Heiberger who started his real estate career at 16. He is both a licensed attorney and a licensed Real Estate Broker in the State of New York. He founded the number one real estate rental firm in Manhattan, Citi Habitats, as well as founding the Buttonwood Development firm. At TOWN, he recruited an executive team of real estate veterans with expertise in different areas (luxury, rentals, marketing, development and beyond) that provide a network of industry experts for agents and clients that have unparalleled knowledge of the industry. Another example is Paula Busch who previously served as Senior Managing Director at another leading NYC brokerage firm where she spent many years of her career and was responsible for catapulting sales in two high-profile East Side office locations. She most recently oversaw a team of approximately 350 agents, many of whom were ranked in the Top 1/2 Percent of real estate agents in the country by the Wall Street Journal. There are many more examples. Even the most experienced agents need help at times and a strong network to navigate the intricacies and complications that sometimes arise in NY real estate. Well-rounded, experienced management with strong industry connections results in a memorable, better experience for all. Most brokerages talk a lot about what they can do for the agent, but often it seems little or even no thought is given to the client which is seen as a transaction. 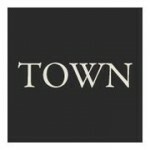 TOWN strongly embodies a positive experience for both the agent and the client. Consider the TOWN CONCIERGE service that they provide for all clients. The TOWN CONCIERGE, available to all clients, regardless of transaction price, provides arrangements for basically any need the client has. Need a hotel while previewing apartments? A ride? Need a pet-sitter or child care? A restaurant reservation? Housekeeping services? The TOWN CONCIERGE will take care of the arrangements with no fee for the service. NY real estate can be stressful enough. TOWN uniquely understands this. It’s not just about properties, but the real people behind the real estate. “I will not forget your precious and incredible help!! I will recommend you to all of my clients. I felt totally secure which means you did the best!! Technology alone cannot do that. Client-focused makes a difference. TOWN’s emphasis is on truly providing expert, real estate agents to its clients. The real estate industry and neighborhoods are constantly evolving, especially in New York. Whether someone has been in the business for 3 weeks or 30 years, there is always more to know. TOWN is committed to providing its agents with top experts that consistently provide knowledge of the latest legislation, investment, financing, neighborhood and real estate information. A more informed agent translates to a faster, better and more profitable experience for buyers, sellers, landlords, investors, renters and agents. Some brokerages are simply not convenient for clients. Some have one office and some are primarily virtual offices. TOWN, in about seven months, already has four convenient, beautiful offices located throughout the city. This may not seem like an important consideration unless you or your buyer needs to sign papers or needs a meeting with various agency personnel. Strategically located, comfortable locations means a better real estate experience for all. Our offices are better than Starbucks. I guarantee it. While TOWN realizes that real estate largely involves personal interaction, negotiation and the expertise that only a human can provide, it has made, and is making, sizable investments to provide the latest technology to its agents and clients to give them an edge in transactions. Some examples include technologically advanced offices, A VOW, fantastic, client conference facilities and the development of its proprietary listings database TOWNHOUSE with advanced search, reporting, marketing, social media and alert features. TOWNHOUSE gives agents and clients access to all REBNY listings as well as in-house exclusives. If you’ve ever tried to search for real estate in NY and found it a confusing and frustrating experience wrought with “it just rented or sold”, you know how important this is. Better technology means less time spent, less frustration and better transactions. Brokers are often fairly and unfairly criticized for being less than honorable. Like every industry, there are honorable people and those that lack integrity. Everything I’ve witnessed at TOWN from the initial contact forward has been only people and principles that reflect honesty, high character, respect, responsiveness and class. TOWN preaches, teaches and practices ethical conduct like no other company I have experienced. If you think all brokers and agents are the same, contact me and give me the chance to prove that there is a difference. Even if you don’t choose me, choose TOWN. I did. I guarantee that you’ll thank me that you did, too. This entry was posted in TOWN and tagged Andrew Heiberger, Brokerages, Manhattan, Paula Busch, Real estate, rentals, sales, Tony Sarcone, TOWN, TOWN Residential by Tony Sarcone. Bookmark the permalink.